The silent film that caused audiences to stampede from the theater. If you’re at all interested in the history of cinema, you’ve probably heard some version of the story about the train film that sent an audience running. 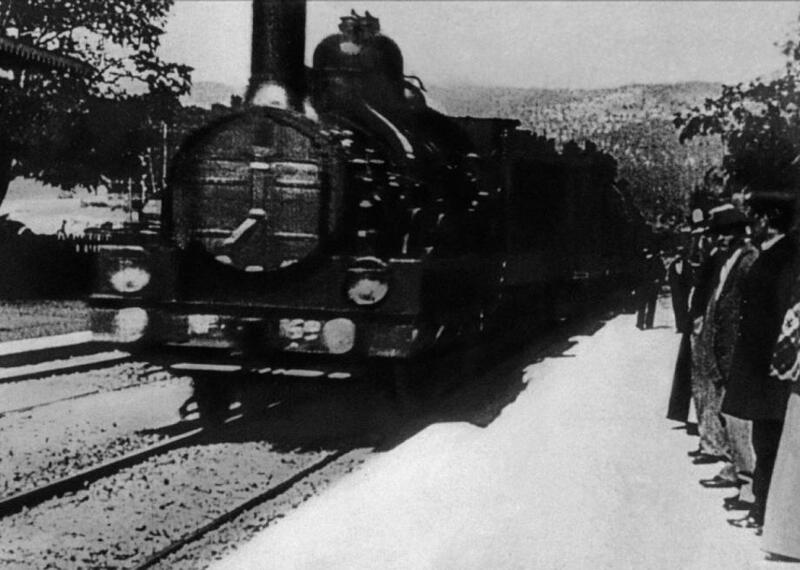 According to the tale, as the silent black-and-white image of a moving locomotive filled a movie screen in Paris, the people in the cinema thought it was going to drive right into them. They panicked and bolted for the back of the theater. Many of the brothers’ early works were barely classifiable as movies even at the time, mostly being short snippets of a scene. “This film is memorable among all the other 1,400 one-minute films (they were called ‘views’ at that time, like ‘living’ picture post cards—single-shot films without any editing), which are listed in the Lumière film catalogue,” says Martin Loiperdinger, a film scholar at the University of Trier, Germany. Loiperdinger is the author of maybe the pre-eminent piece of writing regarding the myth of La Ciotat, calling the film and its attendant popularity “Cinema’s Founding Myth.” In the piece he points out that there is no hard evidence that the famed audience stampede ever occurred. It’s almost hard to imagine a black-and-white short creating much of a splash, but it seems like it was a hit. According to Loiperdinger, there are no accounts of how the audience reacted at the time, but journalists who wrote about their experiences at the showings of the Cinématographe Lumière, the program of short films in which La Ciotat first began appearing in 1896, seemed reasonably amazed. Even without color or sound, the film’s clear portrayal of three-dimensional movement was a sensation. “There is no evidence at all about any crowd panic in Paris or elsewhere during screenings of L’Arrivée d’un train à La Ciotat—neither police reports nor newspaper reporting,” he says. The screen the film was shown on was small (around 7 feet wide), and the picture quality was not only lacking color, but it was full of grain. The image flickered noticeably, and of course, there was no sound. In other words, there was no way anyone was confusing the film for reality. “The anecdote of train films and panicking audiences was already in the air before 1900,” says Loiperdinger. According to Loiperdinger, tales of panicked audiences began to surface mainly as a way for people to try to describe the emotional power inherent in the then-new medium of film. Writers reporting on Cinématographe Lumière would talk about the train nearly crashing into the audience but just as a rhetorical method of invoking the convincing 3-D effect of the moving picture. The story of the audience panic and the train film might be bogus, but with advances in 3-D making movies come alive like never before, maybe it won’t be long before people finally bring this myth to life.